Army veteran Joe Howard, Port St. Lucie, joined hundreds protesting slowed progress on the Central Everglades Planning Project by the Army Corps of Engineers at a mock funeral for the Indian River Lagoon on Saturday, May 3. Hundreds showed up to fight for the Indian River Lagoon. Many sported caps and T-shirts that spoke about their experience serving others and fighting for things they believe in. They were veterans. Lots of veterans. 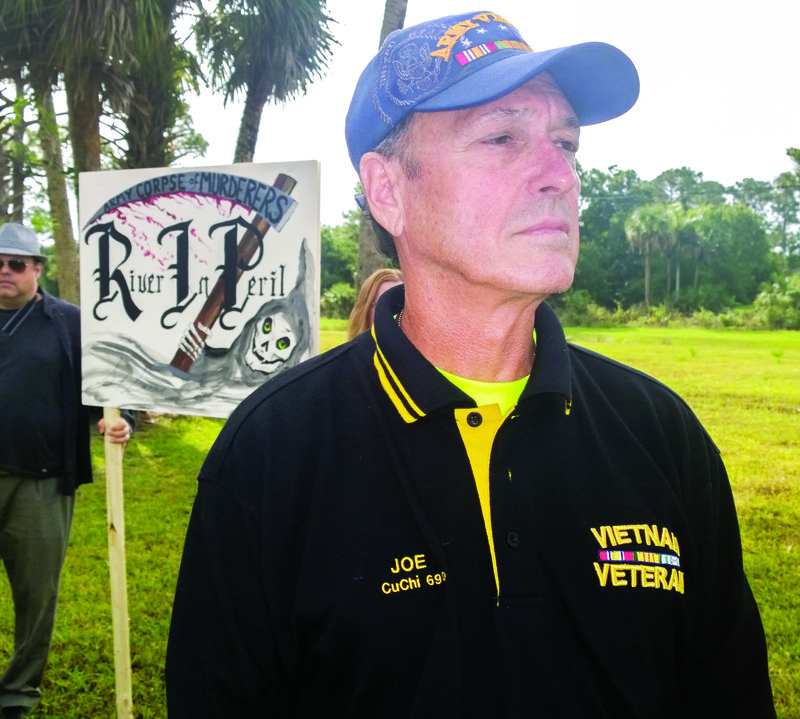 On Saturday, May 3, a loose coalition of advocates called the River Warriors held a mock funeral for the Indian River Lagoon at Phipps Park — 2175 S.W. Locks Road, Stuart — to protest, among other things, slowed progress on the Central Everglades Planning Project. CEPP is part of state and federal efforts to restore the natural flow of waters going into Lake Okeechobee southward. 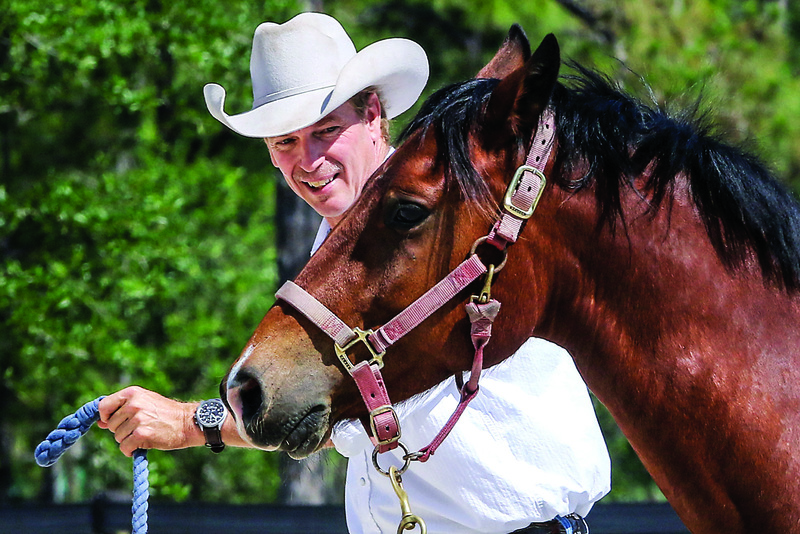 Mark Updike works with Logan after being brought to new location for the Equine Rescue & Adoption Foundation on Rte 714 in Palm City Wednesday, April 23. PALM CITY — Mark Updike got in a tiff with the law a couple years back. It was one of the best turns in his life, because the Marine Corps veteran got a chance to lift himself up from a string of disappointments. And he’s taking a bunch of rescued horses up with him. “I believe the horse has the ultimate birthright,” Updike said. “It was the most instrumental animal in the development of our country, and the world. They have a birthright, because they literally, on their backs, carried us and built this country.” Back to that legal tiff. VeteranVoiceWeekly.com Copyright © 2019. All Rights Reserved.